FREE for School District Personnel! Most Likely To Succeed is the best film ever done on the topic of school — both its past and its future. The film inspires its audiences with a sense of purpose and possibility, and is bringing school communities together in re-imagining what our students and teachers are capable of doing. Run, don't walk, to bring this film to your school. After seeing this film, you'll never look at school the same way again. More information is available on the web site. Join the New York Chapter for a presentation and tour of Maple Hill Middle School, Schodack CSD, Castleton, NY. 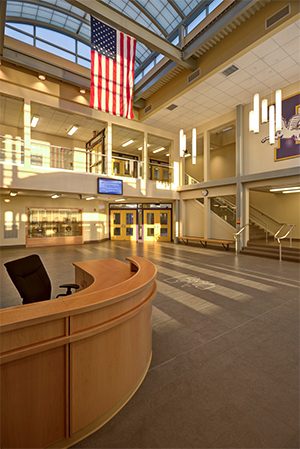 The Capital Project began under the leadership of former Superintendent Bob Horan, who strongly believed that design has a significant impact on teaching and learning. Developing a school that allowed for significant improvements to outdated classrooms while taking advantage of modern design throughout the rest of the building was a must. 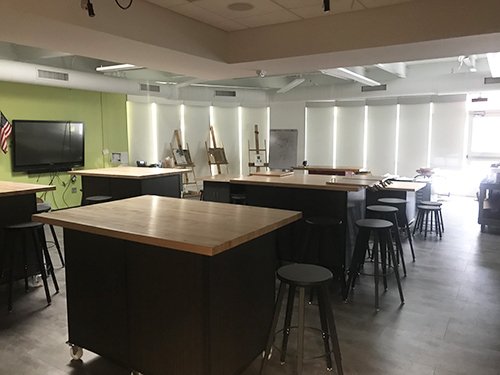 Through multiple site visits, research, and collaboration with various stakeholders, Mr. Horan's vision of a modern school facility began to take shape. Through a collaborative effort with our architects, Synthesis, and our project management firm, Turner Construction, and our furniture vendor, Meteor, a complete renovation of the 2017 Blue Ribbon Award winning Maple Hill High School is underway. The new learning environment offers enhanced security, non-traditional learning spaces, and creative design that builds student ownership and fosters teamwork and collaboration. The planning began over 5 years ago and once the project is complete, it will allow for the district to vacate the current Maple Hill Middle School and reconfigure to a K-6 Castleton Elementary School and 7-12 Maple Hill Jr./Sr. High School. The expected completion date for the entire project is August 2018. 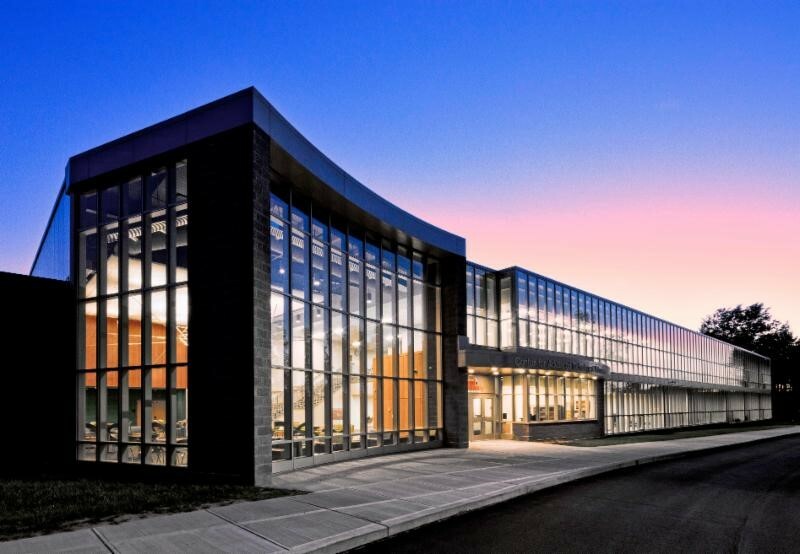 Learn from a host of representatives from Schodack CSD, Synthesis Architects, and Turner Construction about the collaborative efforts of all involved to help make the district's vision for the project a reality. Learn about the process used to gather input from various stakeholder groups to inform the design process. Better understand how the vision for the learning environment, our beliefs in teaching and learning, and the culture of the district influenced the design of the facility. Have an opportunity to engage in a question and answer session. 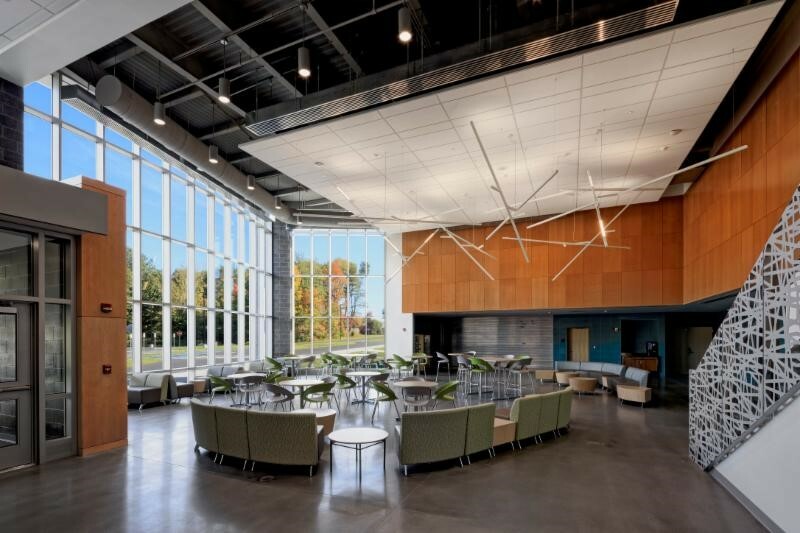 Join the New York Chapter on a school tour of the newly constructed 52,700 SF. 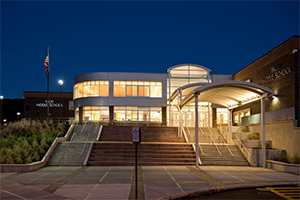 Housing untraditional, high-tech classrooms and laboratories designed to simulate real-world work environments, the complex exists through a partnership between Mohonasen Central School District, Schenectady County Community College, and Capital Region Boards of Cooperative Educational Services (BOCES). 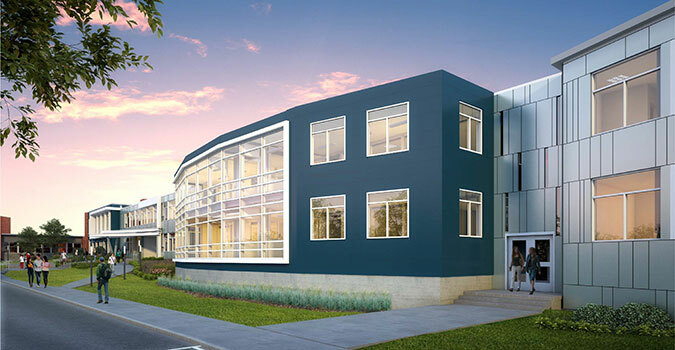 To align with the region's need to build a skilled workforce pipeline for local industries, the facility supports unique programs and offers an interdisciplinary, hands-on approach to learning that is integral to STEAM education for traditional students and adult learners. Spaces include a large group instruction room for traditional presentations/lectures; an electrical lab for alternative energy and photovoltaic systems; an advanced machining/manufacturing lab; a nanotechnology lab; a health professions lab; a black box theatre/graphic arts lab; a welding lab; and a woodshop classroom, among other classrooms and meeting space. With the ability to accommodate more than 400 students each day, the CAT has the potential to truly change the career trajectory of many local high school, college, and adult learners. By molding exactly what regional manufacturing businesses are looking for, students will leave this facility with what it takes to succeed in the Capital Region and beyond. Originally built in the early 1970's, Troy Middle School (TMS) lacked natural light and sufficient air quality. Circulation patterns were poor and did not provide enough sight for adequate supervision. Renovations included the reconfiguration of pathways to provide clear lines of sight for ease of supervision. The primary entry was transformed to better orient students, staff and community members. 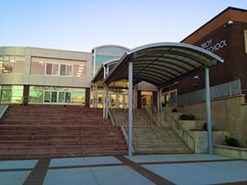 It serves as a gateway between the community and the school in a welcoming fashion. 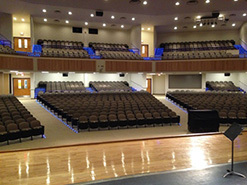 The main atrium provides an informal gathering place and the adjacent "Troy Room" has a more formal purpose for student and community events. To foster collaborative teaching and community among students, staff and faculty, "small learning communities" were created and designed via adjacency, proximity and primary circulation routes. Each small learning community provides facilities for two teams of core teachers and an administrative and guidance team. These "communities" engender a sense of camaraderie within a larger school environment. Signature $2,500 Sole sponsor of event. All concessions provided. 1 available. Platinum $1,000 All concession listed above + recognition in regional newsletter and regional conference. Shared Sponsorship – 2 Sponsorships Available. Gold $500 Logo & Link on website and recognition at event and on website. Shared Sponsorship. Event $250 Logo and Link on website and recognition at event. Multiple Sponsors. "Higher Level Planning & Your 2015 Building Conditions Survey"
Carl's keynote will focus on ways a school district can effectively leverage the state mandated 2015 Building Condition Survey/Five-Year Plan, which is the one opportunity district's have to receive state support for long range planning initiatives. Following lunch, a fascinating case study will be presented about a school district located in Levittown Pennsylvania that neglected its buildings for decades, but rallied the community around a District-wide consolidation/renovation program that is transforming a community. "Re-envisioning The Schools of Levittown for 21st Century Learning"
David Schrader, Managing Partner, Schrader Group Architecture, will be joined by Dr. Samuel Lee, Superintendent of Schools, Bristol Township School District, Bristol, Pennsylvania. They will discuss how a district that grew and flourished in the post-World War II era embarked upon a grassroots effort to replace nine elementary schools with three state-of-the-art facilities. This massive effort is re-invigorating neighborhoods, reducing District operating costs and providing a growing student population in Levittown with safe and secure 21st century schools. One of the foremost authorities on research establishing the critical connection between school facilities and achievement. "Great Schools: The Intersection of Planning, Design & Leadership"
AIA credits can be earned. Seating is limited to 75! Small school districts to join the Association and attend FREE! Platinum $1,000 All concession listed above + recognition in regional newsletter and regional conference. Shared Sponsorship - 2 Sponsorships Available.